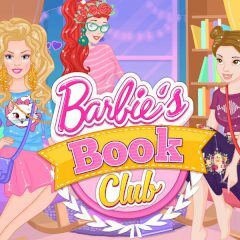 Welcome to Barbie's Book Club, a place where girls can get new experience. Check out what topics they will talk about today! Reading is twice fun when you prepare for it and have comfy conditions. Barbie knows that well, so she has a club where girls can read books!